As women make advancements on the business side of the automotive industry, the female experience as the consumer remains less than ideal. While many women have a lot of trepidation about purchasing their vehicle in the first place, we would say the more intimidating experience is when a woman has to take her car in for repairs or maintenance. No matter how much you know about cars, many women are treated like children by garage staff and every solution seems like a kind of trap. I know a fair share about cars, but you better believe that before I pay for services I call my engineer father and brother for confirmation before I agree to anything. Around the country, women are taking a stand against being taken advantage of in garages and car service departments. The Girls Auto Clinic started in Pennsylvania as a seminar to teach female drivers about their rides and has grown into an auto repair shop by women for women and a brand to encourage drivers to learn more about their cars. 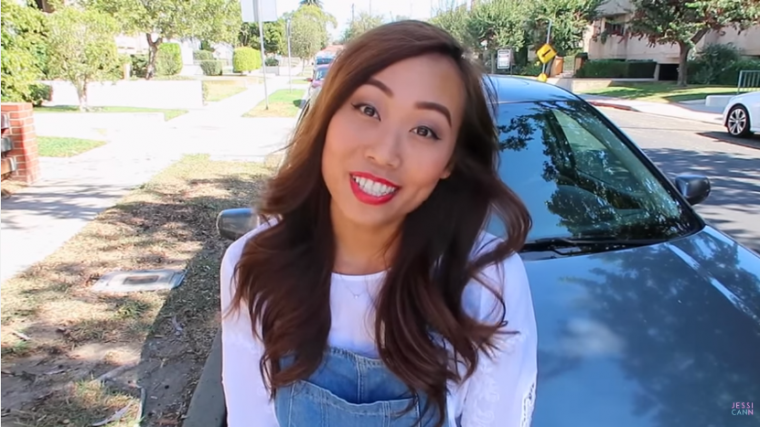 On the opposite coast in Southern California a YouTuber named Jessica Chou is working hard to help women nationwide (if not worldwide) learn how to fix common issues with their cars by themselves. Jessica Chou’s channel is called “Jessicann” and the projects she undertakes go from something as simple as changing oil and cleaning fogged headlights to more complicated projects like fixing droopy car headliners and changing sparkplugs. She told NBC Los Angeles that one time she was working on her 2003 VW Jetta and a man stopped to ask her what she was doing, not really believing that she could be working on her car. Chou’s VW is old and notoriously unreliable, so learning how to work on it has helped her save money. As a first generation Taiwanese-American, there was also an extra layer of unease when she walked into a garage as several places tried to take advantage of her due to their racial stereotypes. Now she has taken her vehicle to places like the LA Auto Show and has partnered up with a local shop teacher to learn more about her car and help others be comfortable with their rides as well. We wish Ms. Chou all the luck, and we hope this trend continues to spread. Men might think they run the car world, but we need to prove that they are sadly mistaken.